They’re magical!! Our dragonfly jewels reach new heights when it comes to whimsy. Best known for transformation and rebirth, dragonflies have been around since the age of the dinosaurs. Now that’s staying power. This Elina dragonfly necklace is our most lavish. 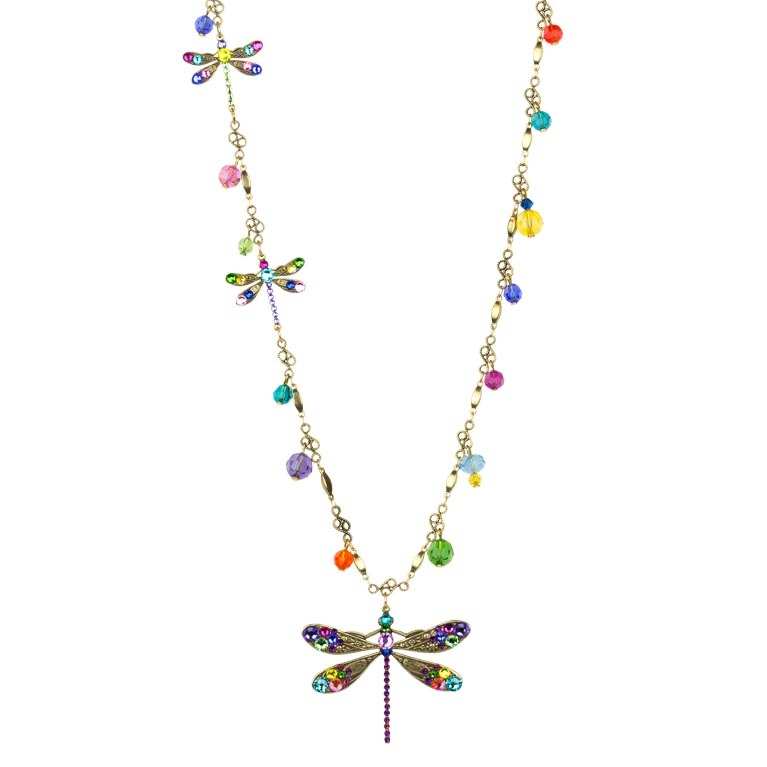 Contains 4 graduated sized dragonflies asymmetrically placed on an intricate chain along with multiple beads in bright colors to make you happy. Bronzed metalwork along with Swarovski® jewels and beads. Length 30″ with lobster claw catch. Earrings to match.